I’m back to making earrings again! I’m getting to that age where some friends are starting to get married so this one is inspired by rings especially wedding rings. I started with a piece of wire that already had a loop and bent the loop at a 90 degree. Then I wrapped it around a circular object to create a circular shape. After I have a circle, I inserted a clear bead into the circle and closed it tightly. 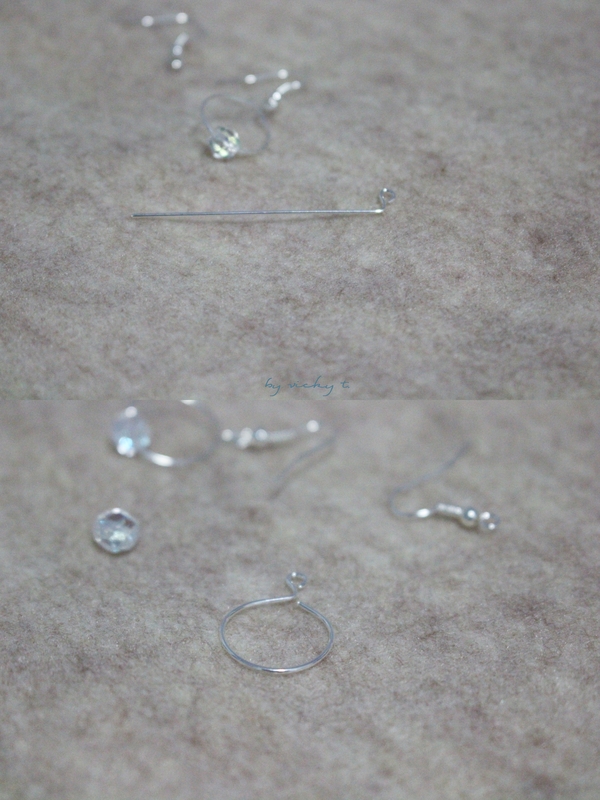 All that’s left is to loop in the earring hook and repeat for the other earring. My friends who run a Jewelry Store, would love these. Will definitely be passing these on to them! Ohhh so pretty! 😀 They look so elegant! Hahaha are you the next one? 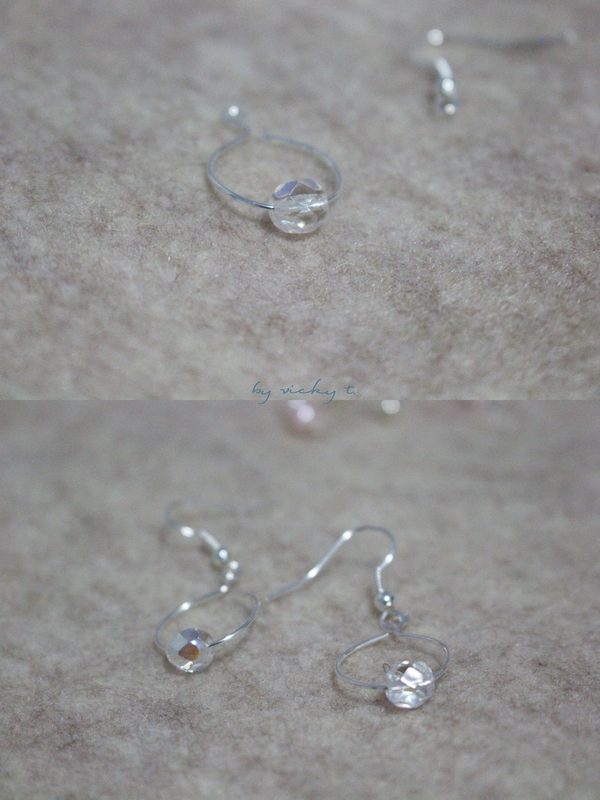 A really simple but elegant pair of earrings. Great DIY post. Wow! Great idea!! Love that earring! !